Your chest tightens, you struggle to pull a full breath of air, you’re breathing short and taking quick breaths, and you feel like you are drowning in air. This is the description of a full-blown asthma attack, and it is, without a doubt, a terrifying experience. An attack comes on when there is inflammation and obstruction of the bronchial tubes. The muscles constrict, which then makes the air passage much narrower. If you are a sufferer of asthma attacks, you should know the early signs as well as learn some of the ways to self-manage during an attack. Recognizing symptoms early is the first step for how to treat an asthma attack and prevent it from worsening rapidly. The warning signs are unique to happening just before or at the beginning of an asthma attack. You may have a relentless cough in the evening or even lose your breath easily. If you are exercising when a potential asthma attack is coming, you will likely feel tired, weak, and begin wheezing or coughing. You may also feel tired, upset, or moody suddenly with various signs of having a cold or allergies, and you will have trouble sleeping. If you begin to feel an asthma attack coming, start by sitting down while trying to take slow, constant breaths. Panicking will only make the situation worse, so try and remain calm and as relaxed as possible. Using your reliever inhaler, take one breath every 30-60 seconds for a maximum of 10 puffs. You should call 911 or have someone call for you to have an ambulance come if you do not have your inhaler or you are not feeling relief after 10 puffs. 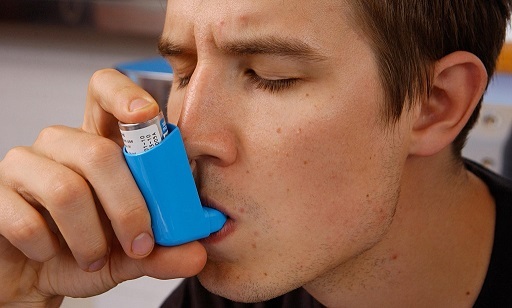 After asthma attacks: Within 24 hours of your asthma attack, see your general practitioner or asthma nurse. Even if you are treated for your asthma attack in a hospital, you will likely need to be seen by a doctor within two weeks. Then, you can discuss how to prevent attacks in the future. Preventing asthma attacks: Try not to ignore or underestimate early symptoms or the need to use your reliever inhaler often. Stay away from doing things that trigger your asthma and have regular reviews with your doctor or asthma nurse. Advice for friends and family: It is critical that you have a personal action plan for the best way on how to treat an asthma attack. Have copies of your personal asthma action plan with you so you can show others who may be around to help. There are sample forms for you to download or you can make your own to educate friends and family. Should you go to the emergency room for treatment of your asthma attack, several medications will be provided to you. Short-acting beta agonists, (ProAir HFA, Proventil HFA, Ventolin HFA, others). You may be instructed to use a nebulizer which will take these medications and transform them into a mist that will be inhaled deep in your lungs. Oral corticosteroids. This can be given intravenously or in a pill form and will help reduce the inflammation which caused the asthma. Ipratropium (Atrovent). Used sometimes as a bronchodilator, ipratropium is for treating severe asthma attacks. Intubation, mechanical ventilation of oxygen. For how to treat an asthma attack that is severe, your doctor may administer a breathing tube down your throat. Then, a machine will aid you in the breathing process while you are given additional medication to control your asthma. You will be able to go home from the hospital once your symptoms are under control as determined by your doctor. The doctor will likely instruct self-care of an asthma attack in the future. Typically, asthma attacks can occur because of an allergen or toxin that fills your airways. If you are aware of what the cause is, then try not to expose yourself to this location or move immediately when the attack happens. Use a scarf or jacket to cover your mouth so you are breathing into the air indirectly. Caffeine is metabolized into theophylline, which is a drug used to prevent and treat asthma because it relaxes the airways. But drink caffeine moderately, no more than two cups at a time. Overconsumption may cause fast heart rate. Though any sources of caffeine such as soda, supplement, etc. can help, coffee and tea are better choices because they also contain other compounds that will likely help you breathe. It is not uncommon to panic when having an asthma attack, so practice breathing through your nose to the count of four and exhaling to the count of six. This way you can stay relaxed so the attack doesn’t get worse. A quick way for how to treat an asthma attack yourself is to press on acupressure points for a few consecutive minutes at a time to relax the muscles. Points include the front parts of your inner shoulder and the outer edges of the creases of your elbows. With the hot water running, take a shower or sit in the bathroom while it steams up. The moisture from the hot water will loosen the mucus that builds up. 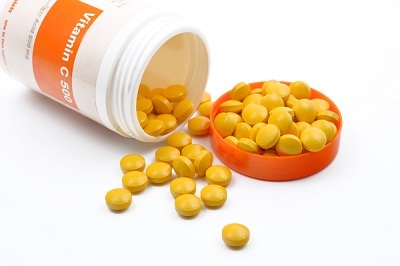 You can ask your doctor about taking 500 milligrams (mg) of magnesium and 1,000 mg of vitamin C to help during an attack. This is only recommended for adults. The magnesium can help to reduce the tension by relaxing the breathing tubes while the vitamin C provides a similar result as an antihistamine. You can obtain a prescription for corticosteroid prednisone for small problems during an attack. This will reduce the inflammation. So if you have the pill from your doctor, you can take it on your own. It will mainly help to control the acute problem, preventing worsening conditions. However, contact your doctor for the proper dosage.